On the auspicious occasion of Gurupoornima, a day long programme was arranged at Aandadham. Ganapathi Homam and Sri Chakra Puja were conducted in the Dakshina auditorium of Anandadham in the early morning. At 10 a.m. there was a get together of all the yoga varga members around eighteen of them, some of whom are working as yoga teachers in different schools in and around of Kodungallur. Mananeeya Lakshmi Didi explained about the significance of ‘Guru Parampara down the ages namely, Narayana, Padmabhuva, Vasistha, Saktrimaharshi, Parashara, Vyasa and Sukha and how during Vyasa’s time all the divine knowledge which the previous seers had passed on to their respective disciples orally, were codified into texts called vedas and later on puranas. It was on this day that the great sage Vyasa was said to have been born, hence this day is celebrated as Vyasa’s jayanthi all over India as a mark of respect for the great saint who is addressed as ‘Vishala buddhe’ in the Bhagavat Geeta. 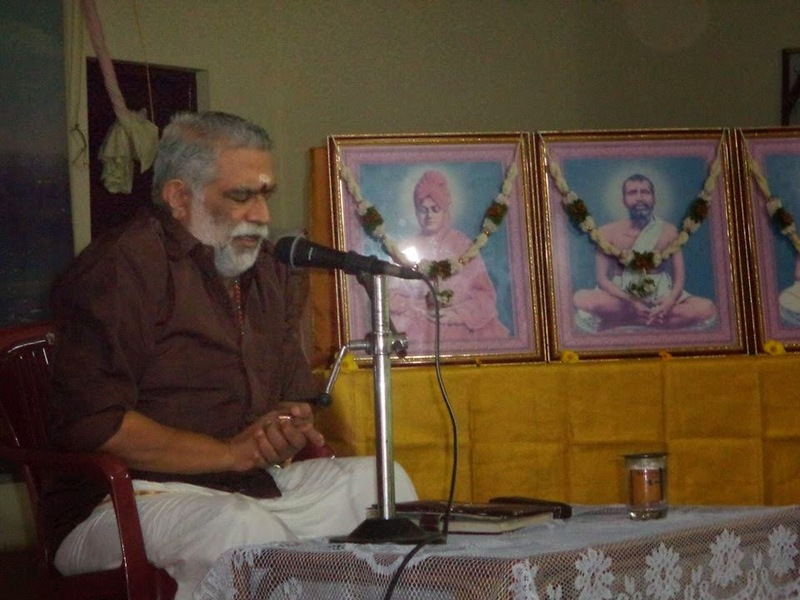 Chanting of the Guru Sloka and pushparchana were part of this two hour programme. In the evening Adv. T.R.Ramanathan of Paravur, an advocate by profession and well-known for his profound knowledge and great oratory, spoke on ‘Guha Gurun Subrahmanya Swami’(Kartikeyan) and kept the audience spellbound. Nearly a hundred people attended.the programme.